Democrats: Don’t just Vote, Volunteer! 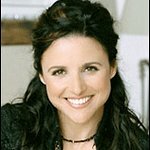 Join Julia Louis Dreyfus and Multiply Your Vote by volunteering at MultiplyYourVote.org It’s VITAL that you help get Democrats elected this year and that you vote for Democrats on November 6. Our Democracy is at stake as well as our Healthcare and Human Rights.